Click on one the images of above to find out detail on item. 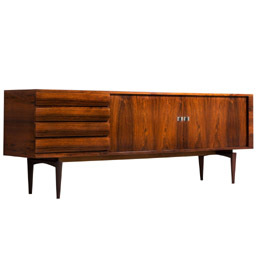 Genuine Mid-Century Modern furniture is by far becoming the most collectible of all home furnishings. Finding pieces in original near perfect condition is becoming very difficult and prices are rising every day as collectors and designers seek this for interiors of the rich and famous. 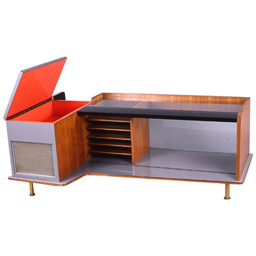 What makes these items so collectible is the post WW2 design elements and high quality materials and workmanship. 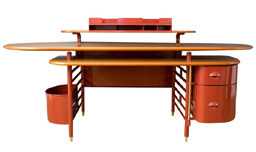 These designers were somewhat international but many items were built by craftmen in the south eastern United States which were close to the booming textile mills and hardwood markets. 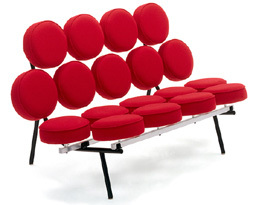 One of the most exclusive distributors was Knoll which is still in business today. Some of the designs have been in production for years but most of the classics were retired in the 1960's. 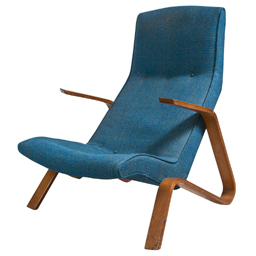 Eames was another major designer and distributor of Mid-Century Modern designs who is still in business today. However most of the focus of these companies has been more towards commercial interiors as opposed to residential.